Around 94 % of ammonia emissions in Europe stemmed from agriculture in 2015, mainly from activities such as manure storage, slurry spreading and the use of inorganic nitrogen fertilisers. CO2 emissions from peat soil that is drained for agriculture make up 100.5 Mt CO2 per year, while for forestry the figure is 67.6 Mt CO2. With a total of 173 Mt CO2 emissions from drained soils, the EU is the second largest hotspot for peatland CO2 emissions (after Indonesia) (Berge et al., 2017). Through irrigation, agriculture exerts major pressure on renewable water resources. Seasonally, the sector consumes more than 50 % of the water used in Europe. Agriculture is one of the main sources of nitrates in surface and ground waters. In several regions across Europe, often those with intensive agriculture, nitrate concentrations are still too high. Around 9 % of agricultural land is part of Natura 2000 sites — an EU-wide network of nature protection areas. Agriculture contributes 25 million tonnes of oil equivalent (12.3 %) to renewable energy production (2015), which is an increase of 15 % from 2013 to 2015 (DG AGRI, 2017). Agriculture is an inherent part of food systems and the range of food produced in the EU is diverse. The EU is broadly self-sufficient in most agricultural primary commodities. It is also the single largest exporter of agri-food products, which include processed food (EC, 2016a). Two of the main challenges confronting agriculture in Europe are climate change (EEA, 2017c) and land take, i.e. the conversion of land to, for example, settlements and infrastructure (EEA, 2017a). Climate change requires the adaptation of crop varieties and causes extreme weather events (for further information on climate adaptation, see the EEA’s work in this field or the Climate-ADAPT Platform) and thus it demands profound risk management. Land take leads to a reduction in agricultural land in many regions. Despite the development of the agricultural sector depending on many factors and regional variations in the sector, some key trends at the European level can be observed. The proportion of total land accounted for by agricultural land is shrinking and the sector is affected by land take, i.e. transformation to artificial land. Independently of this, the number of farms is decreasing and the average farm size increasing. 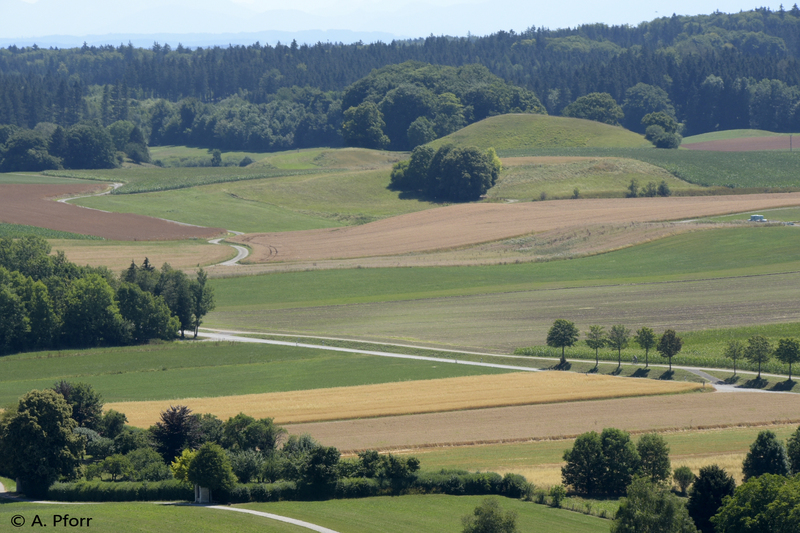 All three factors — land-take, intensification and extensification — lead to loss of High Nature Value Farmland and a decline in populations of farmland birds. In recent years, the agricultural sector has been increasingly affected by extreme weather events. Hail, heavy rainfall, floods and droughts, brought about by climate change, have led to reduced yields (EEA, 2017c). Pillar 2, under which rural development programmes are supported. For the period 2010-2014, the average share of EU subsidies in agricultural factor income was more than 35 %, and that of direct payments to farmers was 28 %. These figures ranged from more than 90 % (total subsidies) and around 45 % (direct payments) in Slovakia to around 15 % and 12 % in the Netherlands (EPRS, 2017). The European Commission’s legal proposal for the CAP post 2020 was published in June 2018. It strives for greater performance orientation as it regards the contribution to environmental and climate targets and ambitions. Agricultural production is also framed by other EU and international policies, some of which, e.g. the Nitrates Directive and the Water Framework Directive, are already reflected in the architecture of the CAP. Moreover, energy and climate policies, for example, have also driven the increase in energy crop production over the last decade (OECD/FAO, 2017). Furthermore, the sector plays an important role in achieving the objectives of the EU’s Biodiversity Strategy and the UN Sustainable Development Goals (SDGs). The EEA collaborates with other EU organisations, for instance in the compilation of the common set of agri-environmental indicators (AEIs). EEA data are used within the monitoring and evaluation of the CAP, e.g. as input for the compilation of certain so-called context indicators. With its stake in the Copernicus Land Monitoring Service, the EEA explores opportunities to increasingly use Copernicus data for agri-environmental assessments. It also tries to meet the needs of the agricultural sector for Earth observation data and products, e.g. for the application of precision agriculture technologies. Apart from collaborating closely with the other EU organisations, the EEA works together with the National Reference Centres in the field of Environment and Agriculture. These centres form an inherent part of the EEA’s European Environment Information and Observation Network (Eionet), in which the 39 EEA countries are represented. Synergies with the work of other international organisations, such as the Organisation for Economic Co-operation and Development (OECD) and the Food and Agriculture Organization of the United Nations (FAO), take place. The EEA also collaborates with the research community and expert panels, e.g. with project teams supported under the Horizon2020 programme. The recent EEA Report 'Food in a green light' discusses food production and consumption, taking a food system perspective. Climate change adaptation Climate change is happening now and is expected to continue: temperatures are rising, rainfall patterns are shifting, ice and snow are melting and sea level is rising. Extreme weather and climate related events resulting in hazards such as floods and droughts will become more frequent and intense in many regions. Impacts and vulnerabilities for ecosystems, economic sectors, and human health and well-being differ across Europe. Even if global efforts to reduce emissions prove effective, some climate change is inevitable, and complementary actions to adapt to its impacts are needed. For references, please go to https://www.eea.europa.eu/themes/agriculture/intro or scan the QR code.